Doug & Michelle Bry ▐ Call 800-987-BRYS(2797) ▐ Info@theBrys.com Updated Daily! In South Gulf Cove, more than one MLS has property listings. Some agents belong to 2 or more board like we do and put their listings in both local MLS systems. Not all agents do this, so we are providing you with access to the 3 most relevant real time MLS listing search sources. Englewood Florida MLS search engine. For Englewood Florida MLS areas select, E73-East Englewood/E. of Blueberry, E74-East Englewood/E. of Memorial, E-81 East Englewood/Northwest, E-82 East Englewood/Southwest, E-83 East Englewood/North Central, E-84 East Englewood/South Central, E-85 Gardens of Gulf Cove/Village of Holiday Lakes MHP. Press your CONTROL KEY to select more than one area together in one search. Located about two-thirds down Florida's west coast, Englewood links Charlotte and Sarasota Counties. It's tropical beaches and gentle climate inspires the description of the intimate community's atmosphere. Englewood presents year-round cultural events, resplendent parks and recreational areas that host an array of outdoor activities. An easy distance to cosmopolitan communities, 40 miles south of Sarasota and 50 miles north of Fort Myers, the Englewood area can offer it all! Beach combing along the Lemon Bay area's beaches offer a thrilling adventure. Along with shells and driftwood, prehistoric shark's teeth are buried in the sand. An anglers paradise, prime fishing is found in Lemon Bay, Stump Pass, and the Gulf of Mexico. Known for it's abundance of redfish, grouper, and snook, this area is also known as the Tarpon Capital of the World! Florida is a golfer's dream and draws more golfers than any other state. The Englewood area alone offers six golf courses and many more within a half hour's drive. Golfers have ample courses where they can experience typical Florida play. Naturally, the most common elements on Florida courses are water and sand. Challenging elements include the island green and prevailing coastal winds. But take heart, deep rough is uncommon! Popular local boating destinations include Boca Grande Pass and the Gulf of Mexico, Cayo Costa, Punta Gorda's Fisherman's village, the Intracoastal Waterway, Captiva, Sanibel Island, Englewood Beach, Venice Beach and Cabbage Key. The "Out Islands" (Don Pedro, Palm, and Little Gasparilla) are a result of changing Gulf of Mexico currents back in the 1950's. When these currents filled in two passes an island was formed and two bridges were built to connect the island to the main land. In the early '60s the bridges were removed and this peaceful little area was forgotten for many years. Today, these pristine, residential islands remain unspoiled and enhanced by 7 miles of tropical, sandy white beaches. On Don Pedro, Palm, and Little Gasparilla, a leisurely pace is a must! Englewood on a larger scale is snuggled in between Port Charlotte/ Punta Gorda to the south and Venice/Sarasota to the North. Englewood prides itself as having one of the finest school systems in Southwest Florida. The Englewood Hospital is nationally acclaimed for patient care and many other fine hospitals are close by in Port Charlotte, Punta Gorda, Venice and Sarasota. Considered to be one of the fastest growing areas in Florida, Englewood presents a tremendous opportunity for business and industrial growth. East Englewood Florida Street Map Charlotte County Plat Maps FREE Lot Value Analysis! 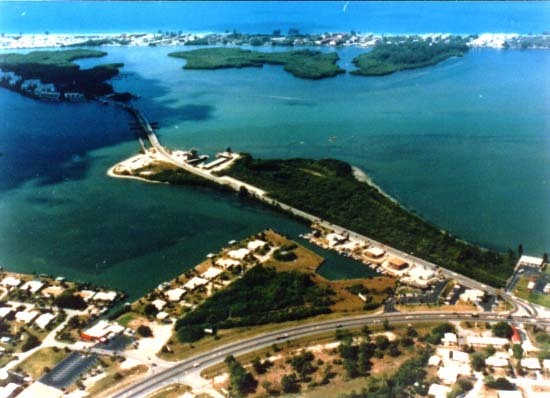 Punta Gorda, Port Charlotte MLS search engine. Select the Property type along the top of the search page. Select the Area and other features, then click on the SEARCH button on the middle right side. For Englewood Florida MLS areas select, E73-East Englewood/E. of Blueberry, E74-East Englewood/E. of Memorial, E-81 East Englewood/Northwest, E-82 East Englewood/Southwest, E-83 East Englewood/North Central, E-84 East Englewood/South Central, E-85 Gardens of Gulf Cove/Village of Holiday Lakes MHP. Press your CONTROL KEY to select more than one area together in one search. Florida combined MLS IDX search by city and zip code. Englewood listings are found in the Englewood 33224 and Port Charlotte 33981 zip code city areas. You may select more than one zip code city area by using your control key. This data could be up to 24 hours old. The Property Feature check boxes do not always function as expected, especially in the Vacant Land Property type.